2nd year Master student of Literature (Karakalpak literature) at Master’s department. She studies as a state grant in the University. 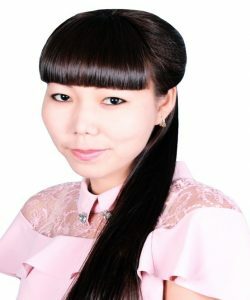 She was born in 1994 year on 16th October in Nukus region of the Republic of Karakalpakstan. 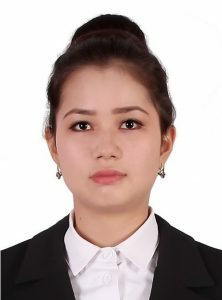 Owner of the governmental scholarship of the President of the republic of Uzbekistan in 2018-2019 academic year. 2nd year Master student of State law and management (in directions) at Master’s department. She studies as a state grant student in the University. She was born in 1995 year on 31st December in Nukus city of the Republic of Karakalpakstan. Winner of the Navoi State Scholarship in 2015-2016 academic year. 2nd year Master student of Methods of teaching social-humanitarian subjects (spiritual basics) at Master’s department. He studies as a contract in the University. 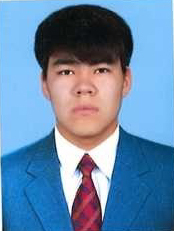 He was born in 1995 year on 5th December in Nukus region of the Republic of Karakalpakstan. Winner of the competition “Student Theatre Studio” in 2018-2019 academic year. Talented graduates with their achievements in academic life, science, culture and sports are pride of our university. Rinat Aytmuratov in 2010, Aldabergenov Isatai in 2012, Egamberdiev Eduard in 2014, Palimbetova Malika and Seitnazarova Guljahan in 2016, Bektursinova Aysultan in 2017 (two times), Ayimbetova Zamira in 2018 were awarded the Presidential scholarship. Joldasbaev Parakhat was awarded “Uzbekistan breastplate badge” in 2015, Yakupov Rozimbai, Kenjebaeva Gulnur, Jumamuratova Mukhabbat, Zarimbetov Abdikamal, Alewova Rawshanai, Mambetnazarov Genjemurat, Kutlimuratova Nasiba, Kalilaeva Bakhitli, Kutlimuratov Muhammed, Begjanova Gulzada, Seytjanova Luiza, Radjapova Sarviniso were the winners of the state Navoi scholarship. In 2008, Arziev Ruslan Arislanbaevich was awarded first place on the republicancreative youth competition “Zamin” and “Aqshakol Ilhamlari”. In 2009, 2010 and 2011 the winner of the Uzbekistan Championship on karate, Akhimbetova Gulbakhar,Mambetrzaeva Nesibeli, Alieva Zamira and Orazimbetova Aysholpan were the winners of the award “Zulfia”. Graduate Mahamatdinova Lola was the winner of the competitions «Кеlajak ovozi», «Ihtidorli talabalar» and the award «Nihol». Kutlimuratov Anvar, Matkarimova Sarbinoz, Toreshova Sarbinaz, Ahmedova Zulkhumor, Reimbaeva Zukhra, Kurbanbaeva Nasiba were awarded grants named after Berdakh and became the winners of the competition «Ihtidorli talabalar».